We had our zine social again at the Freebutt, not particularly heavily attended, but then we didn’t promote it much. 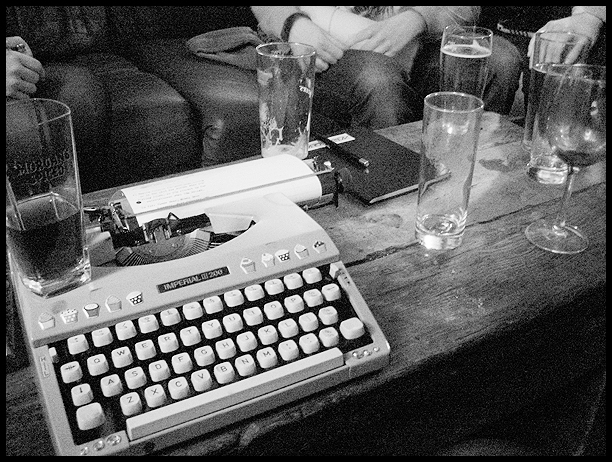 I was possibly the only person to ever bring a typewriter to the bar. It’s nice to type on it now I’ve finally got round to replacing the ribbon. One of the final meetings before the festival is on Tuesday, where we’ll wrangle out the final stall allocations out of the heap of applications we’ve received, and sort out some of the entertainment line-ups and other bits and pieces. I need to gussy up the website a bit too.